Nestled into the picturesque village of Hardingstone, this Muddy fave excels at hospitality. The food is great, and the menu changes on a weekly basis, as does the selection of local ales. I particularly love this Pub, because the team there are so friendly and attentive, and the food and drink on offer is top notch. The outside area is dog friendly, with a small playground at the back for the kids to enjoy, and giving the grown ups a bit of space. The Sun Inn is a real community Pub, where everyone is welcome. The Aviator at Sywell has by far one of the most interesting gardens we’ve seen. Overlooking the bustling airfield this is a particularly quirky place to enjoy a lovely lunch out! With a 1930s Art Deco theme, springing from its history of being an officer’s mess, the Aviator has a very different kind of atmosphere (maybe to do with its heritage?) with aeroplane engines roaring, some fantastic staff and brilliant reviews! Covered terraces are available if the sun gets too much (or rain, of course!) and you can always go inside to the wooden, 30s style booth with a dry martini should it all get too much. Dogs welcome in the garden if they like planes. 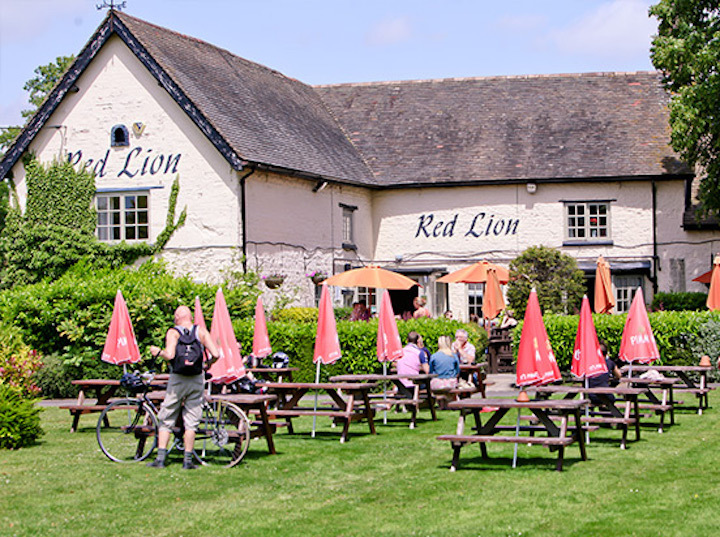 Tucked away in the idyllic Northamptonshire countryside, The Red Lion lies at the very heart of Brafield-on-the-Green. Muddy first visited this pub on a snowy day in December and could have been forgiven for driving past the darkened beer garden, which really does bloom in the summer months. Once again the idyllic surrounds – a lush lawn enclosed with hedgerow – get even better when the food arrives. The Menu is full to bursting with gorgeous bistro food, and so will you be if you make a visit. Something a bit different, this pub/club has a cute little garden where you can indulge in a burger and a milkshake from their American diner style menu. 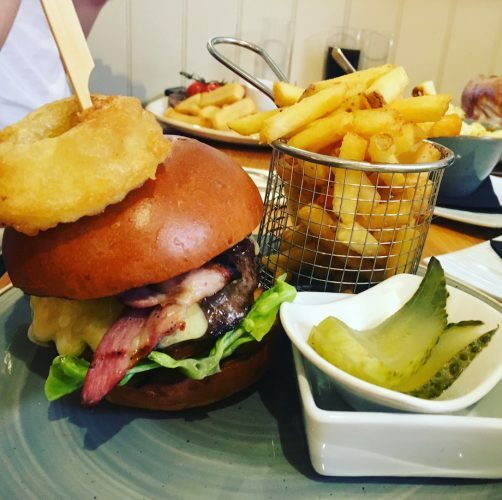 With pretty sterling burgers and such, you can enjoy a meal while shopping (the pub is set in the heart of Northampton centre) and is a lovely place to enjoy an afternoon in the sun while the hustle and bustle of town roars by outside. The garden also includes table tennis to keep the more active members of the family entertained; it’s also a goodie for teenagers! A bustling (v large) pub set in the quaint village of Chapel Brampton, it has a diverse menu and, of course, a gorgeous garden to enjoy a drink in the sun. The pub is located on a historic railway line and provides breathtaking views over the lake and surrounding countryside. It’s pretty damn perfect if you’re looking to relax and take in the views but still want to enjoy a bit of atmos! Speaking of which, Brampton Halt’s very own Oktoberfest is back soon! Four days of schnitzel, pretzels, schnapps, 20″ bratwursts and of course loadsa German beers await on September 22 – 25. With great live music, we’re hoping we at Muddy can make it along (and not make a repeat fool of ourselves like we did at the actual Oktoberfest, circa 2005). 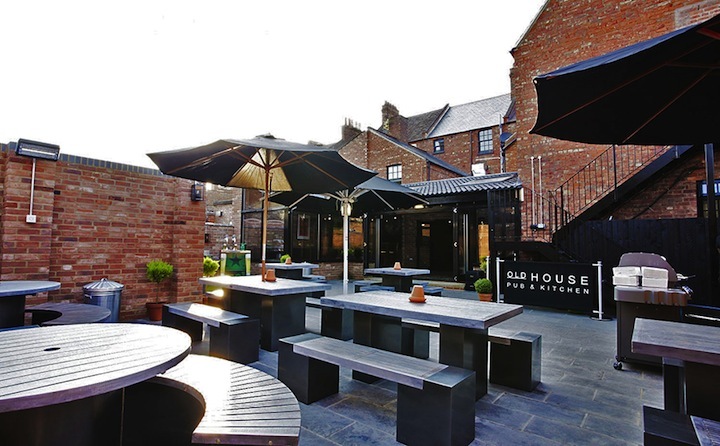 The Old House pub is a Mr Muddy fave, and does a great line in homemade burgers and ‘proper’ cocktails. 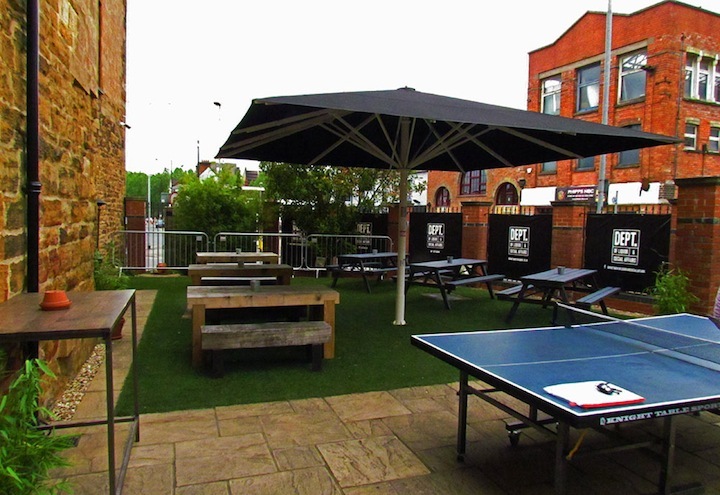 With a modern garden space (another town centre one worth a visit when you’re laden with bags) you can sit outside at the large tables and enjoy a very cool selection of interesting drinks (alongside the hipster, tattooed set no less)! The restaurant food is pretty good too; it’s upstairs, but you could do yourself a mini Old House pub crawl; garden, then bar, then restaurant (forms idea for Saturday night)! 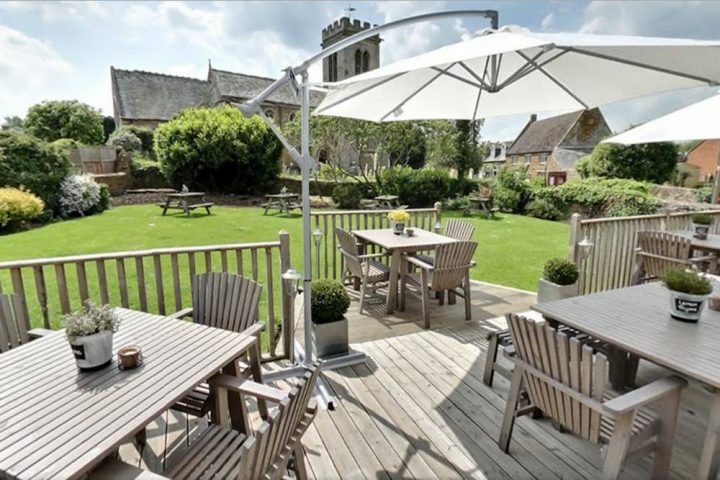 Set in the little village of Milton Malsor, The Greyhound is a picturesque 16th century country inn with a beautiful front garden where you can spend a sunny afternoon with a cold cider (or any drink of your choice). The large garden accommodates big family groups well so you can take everyone from the newborn nephew to Great Grandma! The village itself is a beautiful and interesting place to visit with more than 30 listed buildings, so we would defo recommend having an explore! There’s a delicious menu, (because what’s a pub without good food?) and as mentioned, the garden is fabuloso, with its very own duck pond and tree lined lawns! 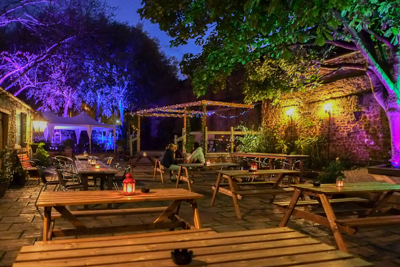 For many, the most magical pub garden in Northampton belongs to the Pomfret Arms, Cotton End. If you haven’t already, it’s really worth checking out – the pub even has its own excellent brewery. Hi. 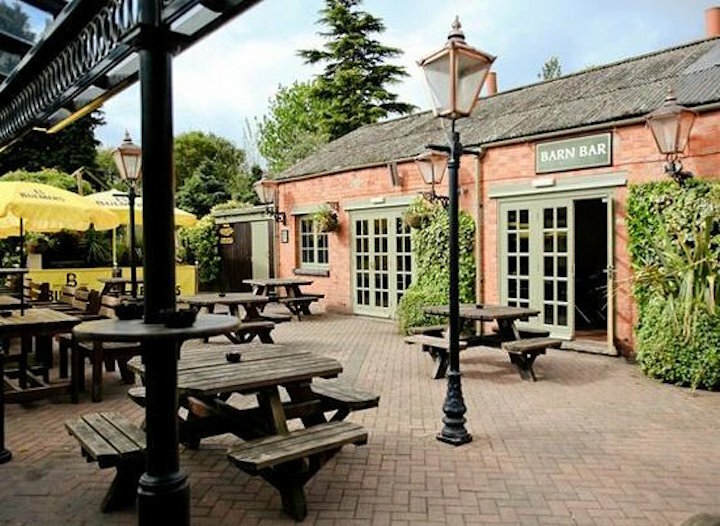 The Abington pub is has a great beer garden. It’s right opposite Abington park so we love going there after a sunny days walk. It has plenty of tables and has the sun all day and evening. They sometimes have outdoor bands and bbqs in the summer. 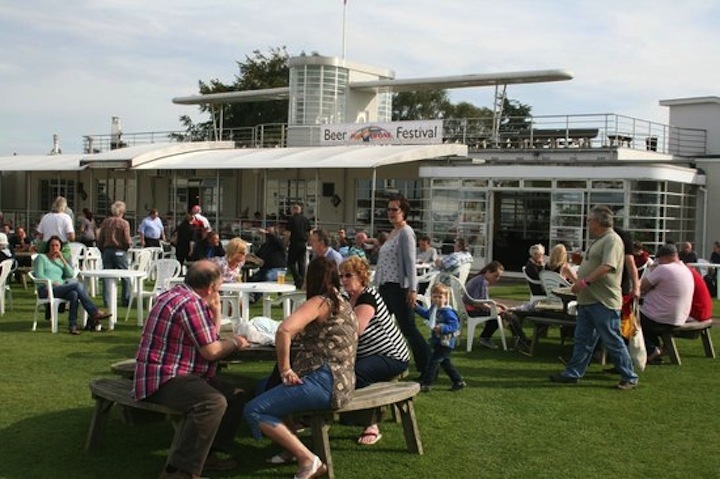 I’ve been to all of the above mentioned but the Pomfret Arms beer garden stands apart. 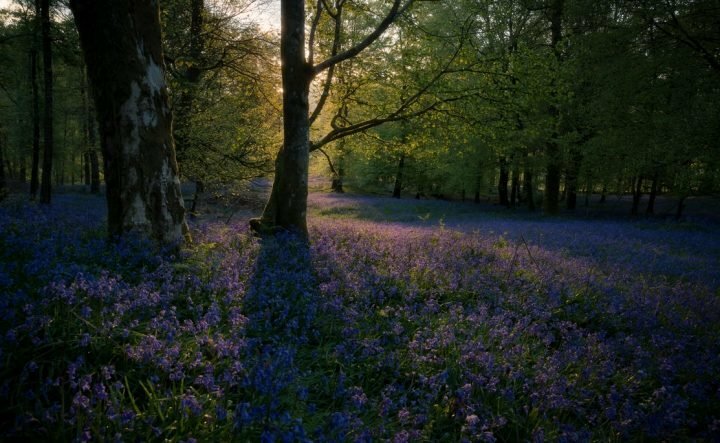 There’s something magical about it and the atmosphere is more than friendly. Sounds like you could be our special correspondent on all things Beer Garden Ash!! Thanks for the tip – Suns out, guns out – I’ll be heading over there soon based on your recommendation. Thanks for getting in touch. Haha, thanks. I use to do a blog on my ventures around the world so if you need anyone give us a shout! 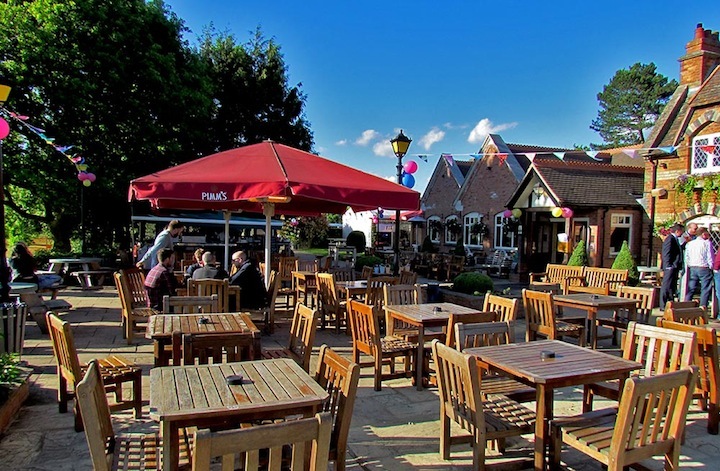 I’m going to give a massive thumbs up to the Pomfret Arms garden too – it really is something special, especially when there’s live music outside. The lights, flowers, plants, people, barn and dogs all make it more than interesting, and the newly covered stage is perfect for rainy summer days. It has to be in any new list you make. I shall make it my aim to visit then! Thanks for the recommendation Ellie.